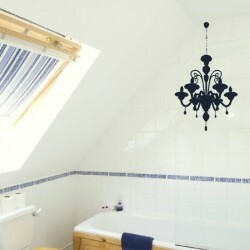 Our chandelier wall stickers add a touch of elegance and class to a space, whether it is a living room, hall or bedroom. They present a timeless image of luxury, making any home feel a touch more stately. 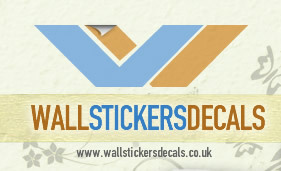 Contemporary wall stickers can be used to refresh all rooms with no special equipment. Simply press firmly onto a clean surface, then stand back to admire your work. With wall stickers, decorating has never been easier or required less commitment. Forget spending your days painting, papering and drying a wall. It is now possible to spend a few mess free hours, getting a result that lasts as long as you want it too. Removing stickers could not be simpler, when the time comes just gently peel them away from the wall. Chandelier designs allow you to evoke an enduring air of refinement and nostalgia, without spending huge amounts of money. 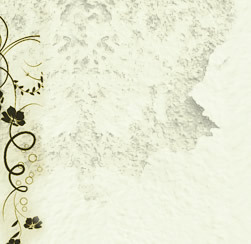 These wall stickers may come as a set, including two or more delicate chain pieces. If they are installed together with the centre piece, this will give the appearance of the fitting being hung from the wall. These creative and intricate designs, provide a stunning visual effect when positioned on a contrasting colour. Use black on white for a minimalist piece of monochrome style, or alternatively choose colours that blend well to compliment your current interior design. If you have chosen a theme for a room, you can use a chandelier wall sticker as a final touch. Lovers of vintage chic will find chandelier wall stickers pull this theme together beautifully, bringing out the rustic charm of their favourite accessories. Enhance the retro atmosphere further by combining with other sticker packs, for example, hearts, birds or floral decals will lend themselves well to this theme. Alternatively, if your home is peppered with gothic drama, a chandelier silhouette framed against a light background will add a suitably theatrical flourish. Chandeliers symbolise opulence and excess, though the affect they have will depend on where in your home you choose to display them. In a dining room, you can create a refined air of aristocratic charm by placing a chandelier wall sticker near the table. It can be used instead of a mirror or painting to create a talking point amongst your guests. Of course, you have the option of matching your glassware and dinner service to the theme, making a bold style statement. If you have a preference for more subtle decals, try using a large stairway or hall space to display them. This technique allows you to hint at a subject, by using a spot where the wall graphic will be more inclined to blend in. As a chandelier wall sticker is a relatively large installation, experiment with different locations and heights before deciding on a final position. Consider your room layout and which features you would like to draw attention to. Whether you are completing an established interior design theme, or creating an entirely new look for your home, chandelier wall stickers are the ideal embellishment.